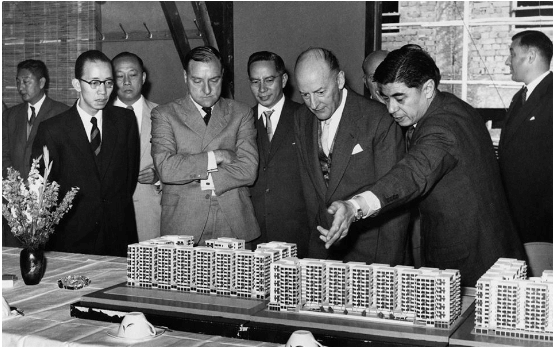 Left to right: Cheung Chan-hon, Kenneth Fung, director of Urban Services Ronald Holmes, Urbco councilor Philip Dalen Au, Governor Grantham, architect Eric Cumine looking at model of the Java Road Estate in North Point which Cheung’s Cheong Lee was building in April 1957. The massive population boom in Hong Kong in the 1950s and the 1960s created unprecedented demand for public and private housing and Cheong Lee Construction, led by Cheung Chan-hon (張鎮漢, aka Cheung Wah-woo, 1915-2006) and his younger brother Cheung Wah-lun (張華倫, 1921-1961), played a critical role in meeting that demand as a leading building contractor at the time and was responsible for the construction of many public and private buildings. A native of Sun Wui in Guangdong province, Cheung Chan-hon started in the construction business in HK at an early age and founded Cheong Lee in 1939 at 5 Thomson Road in Wanchai. 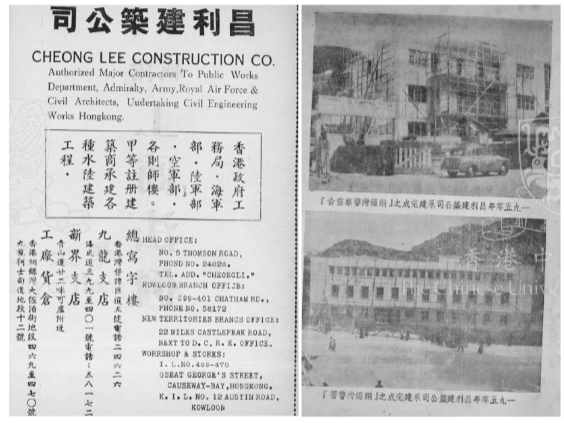 There are no records of Cheong Lee winning any government tenders before 1941 in the HK government reports but after the War, Cheong Lee emerged as a preferred contractor for the government within a short period of time and by 1950 had projects across HK, Kowloon and New Territories for various departments of the colonial administration ranging from Public Works to the Army, Admiralty and Air Force. The first public projects Cheong Lee took on included the construction of police stations in Causeway Bay (1950), Kam Tin and Sha Tau Kok, a fire station in Kowloon, buildings at Albany Road, Severn Road and Sum Wan Road, camps for the War department at Shek Kong, Fanling and Tai Po, Admiralty Flats on Mount Austin for Royal Navy officers (1953-54), a Public Works Department’s CEME workshop at Caroline Hill and hospital projects such as Tsan Yuk Hospital (1952-54, costing $4 million – most of it contributed by the Jockey Club) and Queen Mary Hospital New Sister’s Quarter. Outside of government projects, Cheong Lee was also hired for various private sector projects. This included the $600,000 contract to build Roxy Theatre (樂聲戲院) in Causeway Bay in 1949, the first modern deluxe theatre built in HK after WWII developed by Seaker Chan (nephew of General Chen Chi-tang, see article on Union Metal Works). Other private sector projects include the Far East Motor workshop in Kowloon and Chun Hing and Pacific Bakery factories in Shau Kei wan (see articles on all three companies for more details). The regime transition in the mainland in 1949 resulted in massive influx of refugees into HK, many of whom resorted to living in squatter areas. In Christmas 1953, a massive fire wiped out the squatter area in Shek Kip Mei, resulting in 12000 families (over 58000 individuals) losing their homes overnight. In response, the HK government established the Resettlement Department (徙置事務處) in 1954 and began the development of resettlement areas (徙置區) to provide housing for the displaced population. The first three resettlement areas launched in 1954 were Shek Kip Mei (石硤尾邨), Tai Hang Tung (大坑東邨) and Lee Cheng Uk (李鄭屋邨), chosen for its proximity to the affected area of the Shek Kip Mei fire and Cheong Lee was able to construct many blocks of H-shaped 7-story flats (no elevators or private bathrooms) within a few months, providing a huge relief to HK society at the time. Building on the success of these projects, Cheong Lee became one of the leading contractors for public housing projects in the second half of the 1950s. 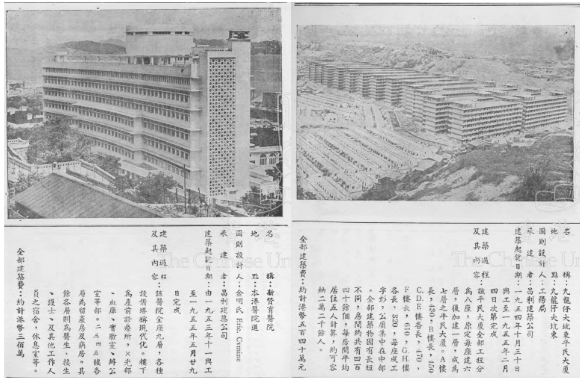 In 1955, Cheong Lee built the first two 10-story blocks of Healthy Village (健康村) in North Point for the HK Housing Society (re-developed in the 1990s). 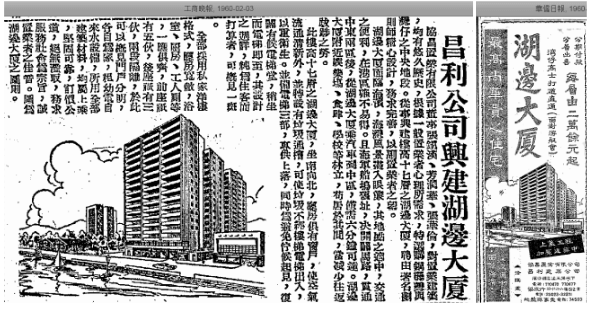 In 1956, they won the $1.03 mil contract to construct 4 blocks of 7-story flats in the Tai Wan Shan (大環山) resettlement area in Hunghom (re-developed into Hung Hom Estate in 1995-2000). In 1957, Cheong Lee won the $2.37 million contract for 8 blocks of resettlement in Lo Fu Ngam (this became the Lok Fu Estate in 1973). The same year, the HK Housing Society asked Cheong Lee to build North Point Estate (北角邨) on Java Road, its second public housing estate comprised of seven 11-story blocks with total of 1956 flats with private bathrooms and kitchens in each flat and schools and shops on the ground floor. The project, designed by architect Eric Cumine, was highly regarded in Asia. In 1958, Cheong Lee was awarded the contract for Wong Tai Sin Resettlement Estates (黃大仙徙置屋邨) at the former Chuk Yuen village with 200 workers working day and night shifts. This evolved into Lower Wong Tai Sin Estate in the 1970s. In 1960, Cheong Lee won the HK$12.4 mil contract to construct the resettlement estate in Tai Wo Hau (大窩口), which evolved into Tai Wo Hau Estate in the 1980s. Aside from resettlement projects, Cheong Lee was involved in the construction of probably its highest profile public building in the HK – the City Hall in Central from 1960-1962. Aside for constructing buildings for others, the Cheung brothers also ventured into property development themselves in the late 1950s and early 1960s on their own and in partnership with others. In 1959, Cheong Lee developed an industrial building on Tsat Tsz Mui Road in North Point. In 1957, they formed Hip Cheong Investment Co Ltd (協昌置業) with HK$1 million in capital in partnership with the family of Fong Shu-chuen of Hip Shing Hong. Hip Cheong developed the 17-story Lakeside Building (湖邊大厦) at 259 Gloucester Road in Causeway Bay in 1960 (the building was re-developed into Sino Plaza in 1992) and Tung Shing Building (東成樓) at 272-274 Lockhart Road in Wanchai and the 8-story Hoi On Building (海安樓) at 11-33 Li Tak Street (the former Whampoa Dock site) in Tai Kok Tsui in 1963. 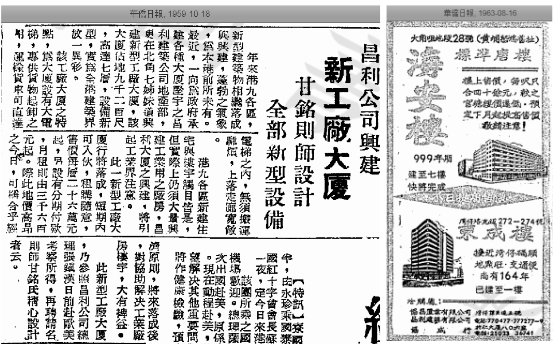 Outside of work, Cheung Chan-hon was very active in community affairs, in fact so active that a HK Public Libraries old newspaper search yielded results of 563 articles from 1954 to 1991. The brothers were very involved with the HK Building Contractors Association and every year during the birthday of Lo Pan (the patron saint of contractors), Cheong Lee distributed free meals to neighbors in Wanchai with generous portions and ingredients. Cheung had also served as chairman of the Tung Wah Group of Hospitals in 1958 and director of Pok Oi Hospital in Yuen Long and the HK Life Saving Society. For his civic contributions, he was appointed an unofficial justice of the peace and member of the Tenancy Tribunal and Board of Education by the HK government. The group which Cheung Chan-hon was most involved with however was the Lung Kong Association, a fraternity group started by Cantonese immigrants with the surname Lau, Kwan, Cheung and Chiu who regard the four heroic characters from the Three Warrior States period (Lau Pei, Kwan Yu, Cheung Fei and Chiu Wan) as their ancestors. When the Lung Kong World Federation (世界龍岡親義總會) was formed in HK in 1960, Cheung Chan-hon was elected its first chairman and served in that position for 8 years. Like his older brother, Cheung Wah-lun was an active social figure in the 1950s. 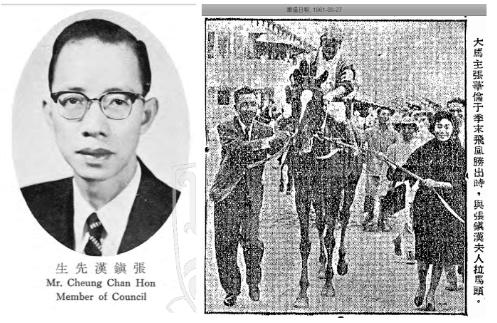 In addition to being involved with Lung Kong with his brother, Wah-lun was also a prominent figure in the sports circle as the chairman of the Kit Chee Sports Club and owned a large number of racehorses including one named “Oscars” and another named “Nobel Prize” after the two prestigious awards (Cheung Chan-hon also owned a horse named “Prince Valiant”). 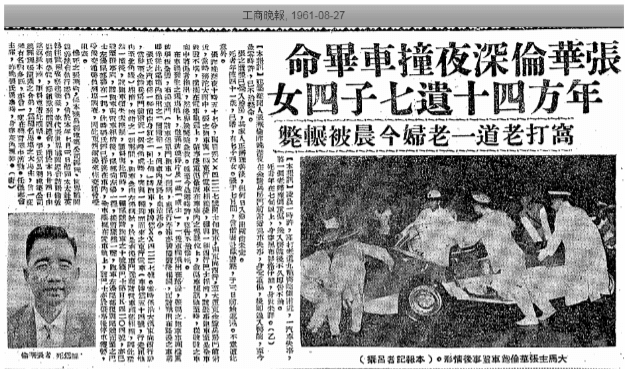 Tragically, Cheung Wah-lun was killed in a late-night traffic accident in Admiralty in August 1961 in an accident blackspot near the barracks (now Pacific Place). He was survived by 7 sons and 4 daughters. His funeral was a major affair in HK at the time. After the death of Wah-lun, Cheong Lee was less active in the construction business and Cheung Chan-hon spent more time on philanthropy and other lines of businesses such as financial services and real estate. 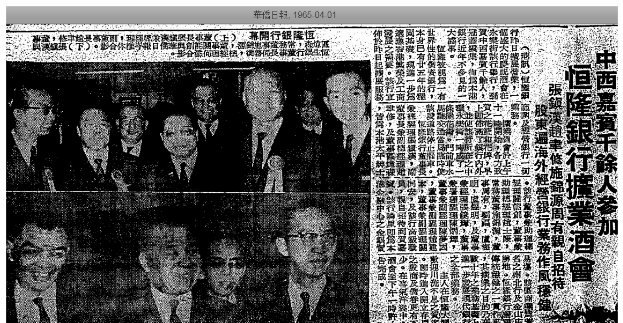 Through his connections at Lung Kong, he became friendly with the founding Kwan family of Hang Lung Bank (恒隆銀行) and in 1964 acquired majority control of the Bank with his fellow developers Kwan Kai-ming (see article on Kiu Fat Investment), Chow Yau (to be covered) and the Lo brothers of Nam Sang and others such as Chiu Lut-sau from Yuen Long. Cheung Chan-hon became the new chairman of the Bank and also director of HK Chinese Bank (then led by Sir Sik-Nin Chau) and United Builders Insurance (formed by a group of building contractors such as Ho Yiu-kwong of Fook Lee & Co). Hang Lung Bank was eventually absorbed by Dao Heng Bank after its collapse in 1982 and Dao Heng was acquired by DBS Bank from Singapore. In his later years, Cheung Chan-hon was fully dedicated to community services, particularly with the Lung Kong World Federation. He led the group’s effort to build schools in HK starting in 1969, with the first school opened in Kowloon in 1977. 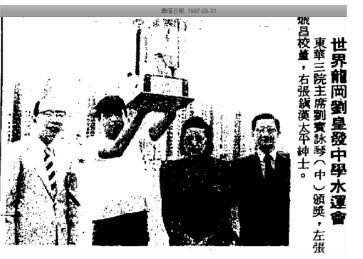 Despite of his old age, Cheung participated in every sporting events and graduation/award ceremonies associated with the Lung Kong schools. He died in 2006 and his son Stewart Cheung Hung-chiu (張鴻釗) continues the family’s affiliation with Lung Kong. This article was first posted on 18th March 2019.